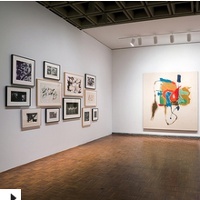 New York art museums bring to life the rich cultural history of the state. 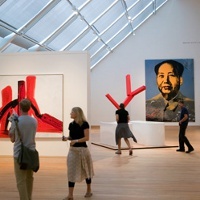 Find the finest museums for pop art, photography, modern art, sculpture and more in this definitive guide to NY art museums. List of New York art museums. Easily the most famous of modern art museums in New York, the MoMA is home to an unrivaled collection of photographs, drawings, prints, illustrated books, architecture, performance art, sculpture and film. Visitors are sure to be impressed as they view thousands of works on display in this huge museum. See world famous originals such as Campbell's Soup Cans by Andy Warhol, The Persistence of Memory by Salvador Dali, The Starry Night by Vincent Van Gogh, Water Lilies triptych by Claude Monet and much more. Be sure to visit the MoMA Design Store located across the street from the main museum, to purchase gifts, souvenirs, collectibles and more items inspired by or representative of the museum's collections. Created in 1929 by Gertrude Vanderbilt Whitney in an effort to promote as yet unrecognized American artists, the Whitney museum has remained true to its cause. Dedicated solely to American art, this museum has a large collection of paintings, sculptures, photography, video, drawings and much more. Works by such famous artists as Andy Warhol, Maurice Prendergast, Jasper Johns, Lee Krasner, Jackson Pollock and Man Ray can be viewed here alongside works by lesser known artists. This museum has regularly changing exhibits along with its permanent collections. The Whitney is open Wednesday through Sunday for a general admission fee of $18. 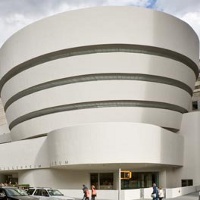 Officially known as the Solomon R. Guggenheim Museum this museum is home to a world renowned collection of art. The building was designed by architect Frank Lloyd Wright and is one of New York's most recognizable landmarks. Visitors will walk up the gently spiraling levels inside the museum and view artworks set into the walls and in offshoot rooms along the way. Along with special exhibits and installation art that change regularly, The Guggenheim has a large permanent collection which it rotates in exhibition. The pieces include works by such artists as Cezanne, Dali, Picasso, Van Gogh, Pissarro and Gauguin. This New York art museum is open year round all week except for Thursdays. 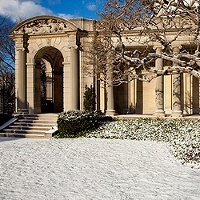 Once a residential mansion occupied by Henry Clay Frick, this building houses a collection of paintings by major European artists alongside antique furniture, and a collection of sculpture and porcelain art. 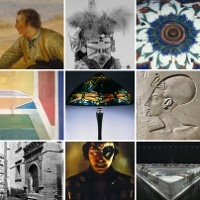 Six galleries within the mansion display art collected by Frick during his lifetime and acquired by his daughter after his death. Visitors can see art by the greatest European and American artists including Rembrandt, Pierre-Auguste Renoir, James McNeill Whistler, and Giovanni Bellini. The Frick Collection is open Thursday through Sunday. General admission is $18 - children under 10 years old are not admitted to the museum. This unique art museum in downtown Brooklyn is home to a fascinating array of art. With many of the exhibits being interactive, touchable and kinetic, it's no wonder why people find this museum a fun place to visit. Check out the longest running kinetic sculpture in the tri-state are - a solar powered piece of art called AC/DC Window has been working since 1994. In addition to their permanent collections, Micro Museum has special exhibits which change regularly with guest art being featured. This museum is open to visitors on Saturday afternoons from noon to 7pm. Entrance is $2 per visitor. New York's Most Famous Art Museum! This famous museum in NY is home to over 2 million pieces of art from around the world. With works ranging from classical antiquity to the European masters of the 17 and 1800s. 17 separate curatorial departments make up the museum and each is full of fascinating and unique art. See ancient Egyptian statues and sculptures, art from the last 4,000 years of Asia's history, suits of armor from Europe's medieval era and much more. A day is hardly long enough to see the treasure trove of history and art from around the world that this museum is home to. Open year round Tuesday through Sunday. Take a Tour of the World's Art! Home to New York's second largest art collection, this impressive museum is sure to enthrall visitors with its varied displays and extensive collections. See art in many forms - sculptures, architecture, drawings, paintings, carvings and more from cultures both ancient and modern. One of the top art museums NY has to offer, it would be easy to spend several days walking through the halls and rooms that house the collections. The considerable collections of Egyptian and African art alone are enough to keep visitors enthralled for an afternoon. See one-of-a-kind works from European masters such as Monet, Toulouse-Lautrec and Donatello. Open Wednesday through Sunday for a suggested admission price of $12 per adult. 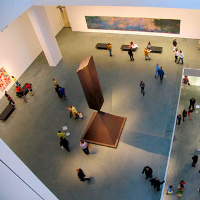 One of the Top Contemporary Art Museums in New York! 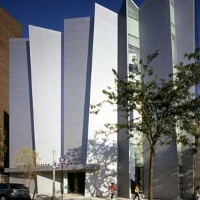 This museum, located in the Bronx, is an art museum with a focus on 20th century and contemporary art. With a permanent collection of hundreds of prints, paintings, photographs and sculptures, this museum is a fascinating place to visit. See works of artists native to the Bronx and those for whom the Bronx has been an inspiration or influence. Special exhibits change regularly and the type of artwork shown varies widely, making this an interesting place to visit again and again. Regular events - art performances, musical concerts, film showings and more - are aimed at getting the community interested and involved in the arts. Open Thursday through Sunday, admission is $5 per adult. Local Art from the Tri-State Area! Featuring art by artists both international and American, this collection of contemporary art on Long Island will delight art lovers. With special exhibitions that change several times a year, this is a great place to visit more than once. 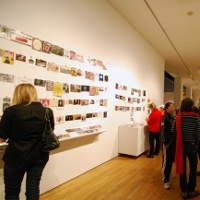 Exhibitions highlight specific artists or topics within the art community. 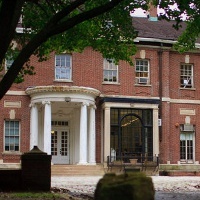 Housed in an historic manor house built in 1903, the museum's permanent collections are an assortment of works in many mediums by artists local to the tri-state area. This museum is open Wednesday through Sunday. One of the Top Art Museums on Long Island, New York! The art collections at this museum span 500 years of western art. See paintings and artwork from the original collection of the museum's founder, August Heckscher, which include works by George Inness, Samuel Colman and Thomas Eakins. Visitors will enjoy browsing the abstract art by Russian-born artists Ilya Bolotowsky and Esphyr Slobodkina, photographs by Man Ray, Larry Fink and Berenice Abbott, and American modernist paintings by artists such as Georgia O'Keeffe and Guy Pene Du Bois. Art education programs for all grades take place throughout the year in an effort to instill in young minds an appreciation for art and art history. Tickets cost $8 for adults and $5 for children 10 and up - discounted rates are available to residents of Huntington Township. The museum is open from Wednesday through Sunday year round. See New York as Never Before! The Queens Museum of Art is housed in the New York City Building, a building that was built for and is the only surviving structure from the 1939/40 World's Fair. With a permanent collection of over 10,000 items, including paintings, photographs, drawings and a large collection of Tiffany Glass works, this art museum in New York is a fascinating place to visit. Probably the most famous permanent exhibition at the museum is the Panorama of New York City - a huge 9,335 square foot model of the five boroughs of New York City and includes nearly a million structures - an accurate representation of every building in the city built before 1992. Admission to the museum is a suggested donation of $5 per adult visitor. Open Wednesday through Sunday. Learn about the Past and Present of Film, Video and Video Games! This New York art museum is dedicated to the moving image - not just cinema, it is about showing and exposing people to moving images in all forms - from video games to online videos. 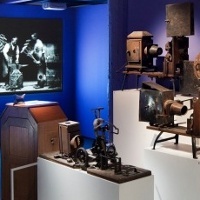 Several permanent exhibits are on display at the museum, including their core exhibition "Behind the Screen," a two floor display of televisions, cameras, film reels, recording equipment, video games, and artifacts relating to film editing, cinema and more. Interactive displays keep people of all ages engaged in the experience. Live demonstrations of skills such as sound and picture editing take place every weekend. Be sure to stop by Tut's Fever, a working movie theater styled after an exotic moving picture theater of the 1920s - films are screened here every day, check the website for details! Open Tuesday through Sunday, adult admission is $12. Learn about Tibetan Culture and Art! In a cool museum designed to resemble a monastary in the Himalayas resides this unique collection of Tibetan and Himalayan art. 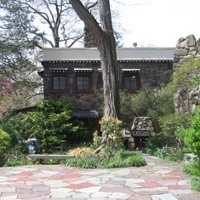 One of the earliest Tibetan art collections in the US, this museum was begin in 1938. Now over 1,000 objects, instruments, sculptures and paintings are on display in this New York art museum. This museum is not only about displays and exhibits, but in its continued effort to educate the public about the Himalayan region it hold regular events and classes. Be sure to visit the annual Tibetan Festival or the weekly tai chi classes for a deeper understanding of this exotic region. Admission is $6 per adult and the museum is open Friday through Sunday. One of the Top local Art Museums in NY! 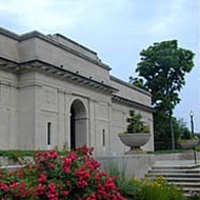 The art housed in this museum is a wide ranging collection of art from around the world and local art. Special exhibits change regularly and feature art in many forms, from sculpture to photography. 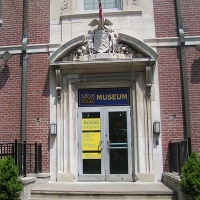 The NY art museum also has an extensive collection of art related to Staten Island. Works by natives of Staten Island, portraits of famous Staten Islanders and Staten Island landscapes are among some of the pieces visitors can see. When you visit, check out the Staten Island Ferry collection which is a collection of works by various artists on the title theme. This museum is open 7 days a week except on certain holidays. This museum is dedicated to collecting preserving and displaying the arts and culture of the Hudson Valley region of New York. 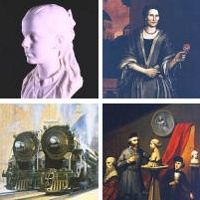 When you visit you can see a collection of works in various themes relating to America's history such as the 19th century American sculpture exhibit and an exhibit dedicated to the art in the Hudson River School style. This museum has over 20,000 objects in its permanent collections including paintings, sculptures, ceramics, prints and more items relating to art and history. Open Wednesday through Sunday. Adult admission is $10 per visitor. Learn About the Life and Works of a Great American Artist! 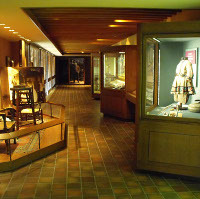 This museum is dedicated to preserving and displaying the art of 19th century artist Frederic Remington. Remington's art primarily centers around sculptures and paintings of the American West, US Cavalry, cowboys and American Indians. The museum's collections are rotated regularly in themed exhibits and displays. Items related to Remington's subject matter of the American West, his personal belongings and more are on display throughout the museum. Special exhibits from local artists and art competitions are also displayed at this art museum in New York. The Frederic Remington Art Museum offers events and programs such as gallery talks and workshops year round.